The blog will be updated again starting on Wednesday 2nd. This just in from Jim Korkis. The caption reads: "Walt confering with his technical engineer on plans for the production of Snow White and the Seven Dwarfs." One of the great Xmas gifts I received this year was a series of scans that was sent by collectors Pat and Doug Wengel. Those scans came from the catalog of the English company Chad Valley, which produced the most beautiful European Disney games before WWII. I will be using those scans to write an article about those treasures for Tomart's Disneyana Update issue 70. I had wanted to cover this subject for a very long while. By the way, another subject I would love to tackle are the Italian plush dolls produced by Lars. Could any of the Italian readers help me with this? Two great early photos of Walt found on ebay this weekend. The first "caption" says November 2, 1931; the second mentions July 28, 1933. The blog will not be updated until Thursday next week. 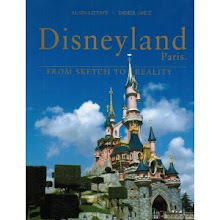 BearManor Media released just three months ago a new book about animation that definitely intrigued me: Escape by G. Michael Dobbs. 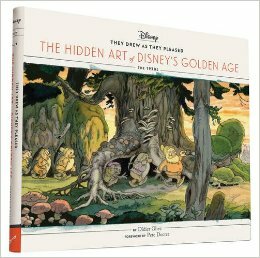 I received my copy two days ago and needed to mention it on the blog. 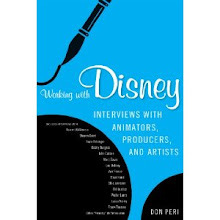 It does not contain enough about classical animation (read "Disney, Warner and Pixar") to make it on my top-10 list for this year, but it is definitely well written, by an author who knows his subject in-depth and wrote some of the best articles published in the magazines Animato! and Animation Planet. 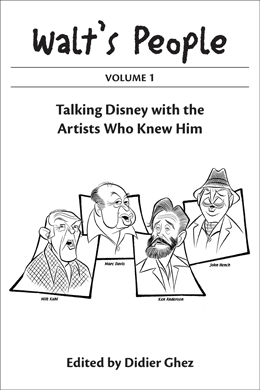 In summary: not enough for Disney historians, quite a bit of fascinating and well-written material for readers who want to know a lot more about animation during the last 30 years. Two days ago I received this book by Serbian author Zdravko Zupan which I consider fascinating, although it will probably interest just a handful of you. This history of Serbian comics contains a summary in English at the end. More importantly it includes quite a few illustrations linked to pre-WWII Disney history in Serbia, including this cover of the Jumbo magazine which features our good friend Elmer the Elephant. 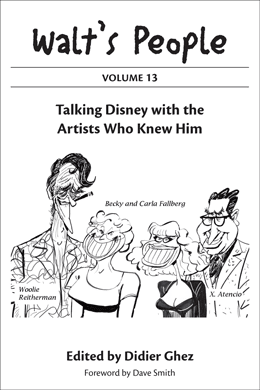 I did not know about this magazine when I wrote my long series of articles about Serbian Disney publications for Tomart's Disneyana Update a while back. The whole series of articles was written with the help of Zdravko Zupan, by the way, which closes the circle. One of the very first posts on this blog, back in August 2006 dealt with the upcoming comic book series Return of the Gremlins published by Dark Horse. I am still trying to find these comics. Have they been released? If the answer is negative: do any of you know what is going on? 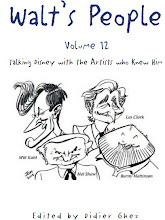 The cover of the book Stepping into the Picture: Cartoon Designer Maurice Noble has just been released on Amazon. Can't wait to get that one in February. I will be in Portugal for the day tomorrow. The blog will be updated again on Thursday. [Here's something I never knew: puppeteer Bob Baker had the original Pinocchio puppet used as a model in the Disney film. As part of their “Walt Disney Showcase Collection," Master Replicas presents a meticulous reproduction of Disney's Pinocchio. When Master Replicas approached renowned Los Angeles master puppeteer Bob Baker with a proposal for him to recreate Pinocchio for the original Disney design sketches, they were stunned by his response. 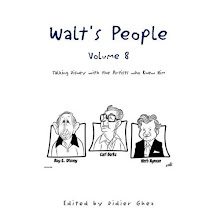 Baker did not have to recreate the original animators’ model, because he owned the original, given to him personally by Walt Disney himself. Disney had been an admirer of Baker’s work, and presented the original puppet head to Baker following completion of the film. Measuring 35” tall, and produced in a limited edition of 1,940 pieces, the Pinocchio Marionette is fully articulated and functional, and comes with a display stand and individually numbered plaque. [PD: According to his son, [Hal] King was hired from an insurance company, worked in the mail room, and then worked his way up from inbetweener. Does that fit with your understanding? AS: I didn’t know that. In fact I’m the world’s worst about knowing any extracurricular activity and who socialized with who. Most of us were too busy doing our jobs. So long as I was able to turn John Dunn’s storyboards into living animation, that’s what made me happy. PD: John Dunn was the story artist to end all, in your book? AS: Yeah. He was. But only someone like Kimball would see his potential and adapt him to storyboarding. John was an individual that was not like any other person I have ever known. AS: He was unique. He had a terrible temper. And he would tell the most off-color jokes, they were almost embarrassing they were so off-color, but if I told one to him, he would be genuinely offended. AS: No, any dirty joke. He wouldn’t find it at all amusing. And nowadays I wonder why any of us thought any of them were amusing, but you were young then. I was browsing on the web last week when I stumbled upon this stunning Oswald poster which I had never seen in color before. Another caricature of artist Rudy Zamora found on ebay recently. The cover of the upcoming book The Art of WALL.E has just been revealed. The blog is very unlikely to be updated tomorrow. See you all on Monday. 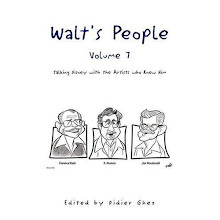 "I Live with a Genius" by Mrs. Walt Disney as told to Isabella Taves published in McCall's in February 1953 has been quoted very often by Walt's biographers and I thought many of you would enjoy reading the full piece. I would like to thank Michael Barrier for having sent it to me. My apologies for the bad quality of those photocopies. This calculation ruler from Latvia is currently being sold on ebay. I have it in my collection already, so I will not bid on it, but I thought some of you might enjoy seeing it. This model sheet from Song of the South, attributed to Albert Hurter is currently being sold on ebay. I mentionned the movie Hollywood Party a while back on this blog. Mark Sonntag has just emailed me to let me know that the script of that very movie is currently for sale on ebay. 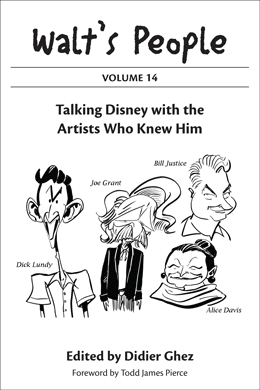 Speaking of previous posts, the drawing about Mickey and Oswald that Jim Korkis sent me last week generated some speculation about its authors on this blog. 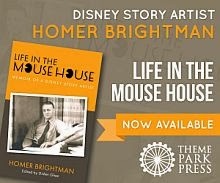 Gregory Ehrbar, co-author of the excellent book Mouse Tracks, has a launched his blog. Definitely worth a visit. Pure joy! This is what I felt when I got this email from Pete Merolo yesterday evening. I could not wait to share it with you. I live to see this kind of unseen before artwork. [You asked to see Concept artwork -- how about this piece created for the Fantasia Concert Feature, dated September 14, 1938, of the 'Bug Orchestra'. It's ink and watercolor with boxed outlines for camera shots and 31'' long. You can learn more about the planned Insect Ballet sequence from Fantasia by checking Charles Solomon's book The Disney That Never Was. We all know that Snow White and the Seven Dwarfs, released in 1937 was the first hand-drawn animation feature. There was at least one other animated full-length feature that preceeded it, however, the German movie The Adventures of Prince Ahmed by Lotte Reiniger. Sébastien Durand has emailed me to let me know that this 1926 movie was just re-released in cinemas in France. The movie does not feature hand-drawn animation but cut-out puppets. Sébastien mentions that it is a pure delight. We might be expecting it in a few months on DVD. Information in English on Prince Ahmed can be found here. [Here's a great production background that I recently purchased from a collector that has owned it from the early 1980s. This is a very rare and beautiful artwork. The "Blue Bayou" sequence was originally planned and animated for Fantasia on the music Clair de Lune by Debussy. It never made it into Fantasia. It was later reedited, set to the music Blue Bayou by Bobby Worth and Ray Gilbert and released as part of Make Mine Music in 1946. I love old magazine articles but you can't always trust the information that is in them. In the March 1941 edition of "Popular Science" Harry Welch claims he did the voices for Popeye, six of the Seven Dwarves, the Big Bad Wolf and Olive Oyl. This is, of course, as pointed out by Fleischer and animation historian G. Michael Dobbs completely wrong. Welch didn’t do his Popeye work until Famous Studios moved back to New York in 1942 and even then he was just an occasional fill-in for Jack Mercer. 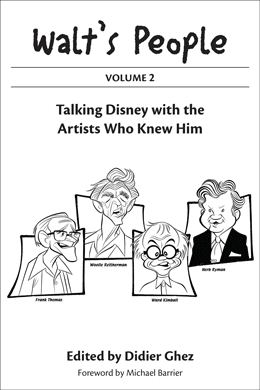 - Quite a few great new posts on the Vintage Disneyana Collectibles blog this morning, but this one is particularly interesting as it gives more information about the artist Charles Cristadoro who would later work on the "Project Little Man". 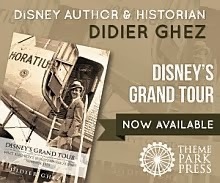 Excellent news coming our way this morning: David Lesjak, who already runs the fascinating blog Toons at War, has decided to launch a new blog dedicated to Vintage Disneyana. From the first few posts, that one will also be on my list of daily stops. This matchbox from the Philippines (that would have been my first piece from that part of the world) and those two postcards from Finland that I did not know existed at the time I wrote an article about Finnish Disneyana for Tomart's Disneyana Update. I must admit that before reading Jim Fanning's recent post on the subject, I did not even know this featurette existed. Enjoy! man art department," hence the reference. by the end of May at the latest.